Snow cleanup in Shoprite Plaza in Carmel during a recent snowstorm. Most schools now have to make up some of the days lost due to snow cancellations. Vacation plans have been turned topsy-turvy for many Putnam families due to the large number of scho… Please login below or purchase a subscription to the Putnam County Courier to access this content. 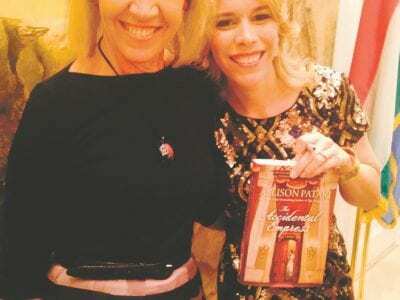 Allison Pataki has again turned to history for her second book, The Accidental Empress, the story of “Sisi” the Austro-Hungarian Empress and wife of Emperor Franz Joseph. Friends and dignitaries celebrated the book’s launch Tuesday night … Please login below or purchase a subscription to the Putnam County Courier to access this content. Student artwork will remain on display through February 28. 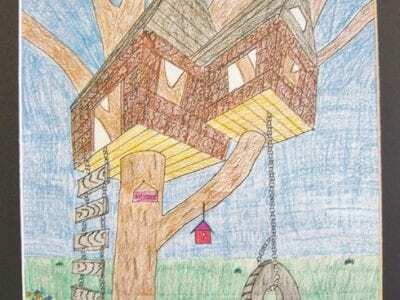 A current exhibit in the Young Arts Gallery at Mahopac Public Library, entitled Our Perspective, features twenty student artworks that demonstrate the use of perspective in an imaginative wa… Please login below or purchase a subscription to the Putnam County Courier to access this content. Area residents may be tired of Mother Nature’s fury since January 1 with numerous snow and ice storms and arctic cold, but as Kent Supervisor Maureen Fleming puts it: “This IS winter!” The Town of Kent hopes to make the best of the… Please login below or purchase a subscription to the Putnam County Courier to access this content. Start shooting those hoops! Final plans have been made for Putnam’s unique fundraising opportunity—the annual Carmel Rotary Club Basketball Shootout. The event this year is scheduled for March 7 at Carmel High School from 9 a.m. to 12-no… Please login below or purchase a subscription to the Putnam County Courier to access this content. To the Editor, I read with pleasure (and displeasure) your terrific article entitled “Their Hands Are In YOUR Wallet” (Cunningham’s Corner, Feb. 5). I couldn’t agree with you more but, after years of writing letters everywh… Please login below or purchase a subscription to the Putnam County Courier to access this content. Dear Editor, On Thursday, February 12, by a super-majority of 67%, Congress voted in favor of the America Gives More Act (H.R. 644), which included a key incentive for land conservation. The Hudson Highlands Land Trust applauds the entire House of… Please login below or purchase a subscription to the Putnam County Courier to access this content. Putnam County legislators have promised to keep hammering the Federal Energy Regulatory Commission (FERC) with letters and correspondence in opposition to Spectra Energy’s plans of expanding its transmission system with the Atlantic Bridge Pro… Please login below or purchase a subscription to the Putnam County Courier to access this content. 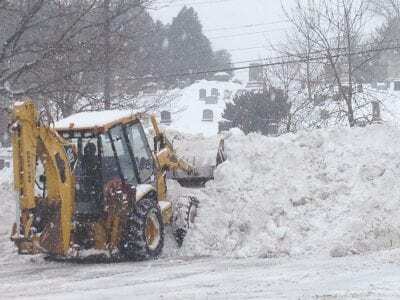 Unlike many of its neighbors in the Hudson Valley as well as communities in northern New Jersey and western Connecticut where the supply of salt and calcium chloride to treat roads is extremely scarce, Putnam County finds itself in good shape thanks… Please login below or purchase a subscription to the Putnam County Courier to access this content.